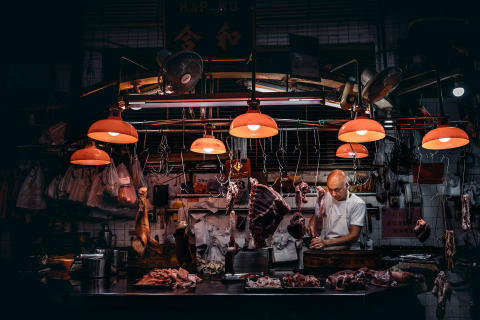 Image Description: After a long day, butcher preparing to close his shop. The picture was taken inside the "Red Market", which is a three-story wet market building in Macau. Erected in 1934, this is one of the oldest markets preserved in its original form, and its name derives from the red bricks used in construction.